I've experienced much confusion, frustration, and grief over the years because I am a strong, independent, intelligent woman, with God given leadership and teaching abilities, who has lived most of my life in the "traditional" (conservative/evangelical) church where it was a given that women did not teach/lead the church, they could teach/lead women and children, but not the church as a whole. And heaven forbid we call the woman on stage leading worship a worship minister, or the woman working in the youth/children's ministry a "youth/children's minister"! I'm thirty years old and I've been wrestling and struggling with this mess for most of my life. 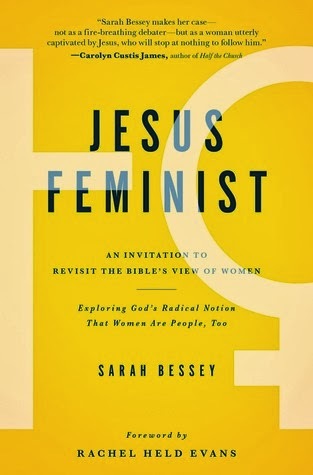 I used to think "feminist" was a bad word, because that's basically what I was taught growing up: that feminism was in opposition to the Bible and Christianity. I can't pinpoint the moment I stopped believing this. But it was probably around the same time I stopped buying into the "complementarian/biblical womanhood" teaching. These views of women never set right with me. So I can't tell you precisely when it started. But I can tell about signposts on the journey. I went to a conservative Bible College of the same denomination in which I was raised, but I had a few professors who challenged even our conservative assumptions. There was the paper I wrote in my "Biblical Theology" class on "Women's Roles in the Church". I didn't really reach a conclusion at the time other than that there were people on both sides of the debate that said the Bible could be interpreted to mean what they wanted it to say. Which incidentally is one of Rachel Held Evans's main points in her book. 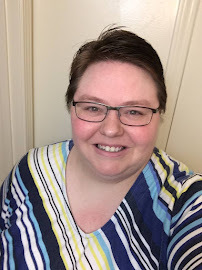 Scot McKnight may have been how I started reading Rachel Held Evan's blog in 2010, which led to so many of the wonderful bloggers and authors I read now, including Sarah Bessey! Right after I finished reading "A Year of Biblical Womanhood" by RHE last fall, I was verbally processing it with one of friends when I said, "I love God more now that I know that he isn't restricting me because I'm a woman. He wasn't the one doing that." And it's true! And I am experiencing so much more peace and freedom in my heart and mind now. I believe in the Kingdom of God, inaugurated in Jesus, heaven coming down to earth, we as his ambassadors... so I can't give up! 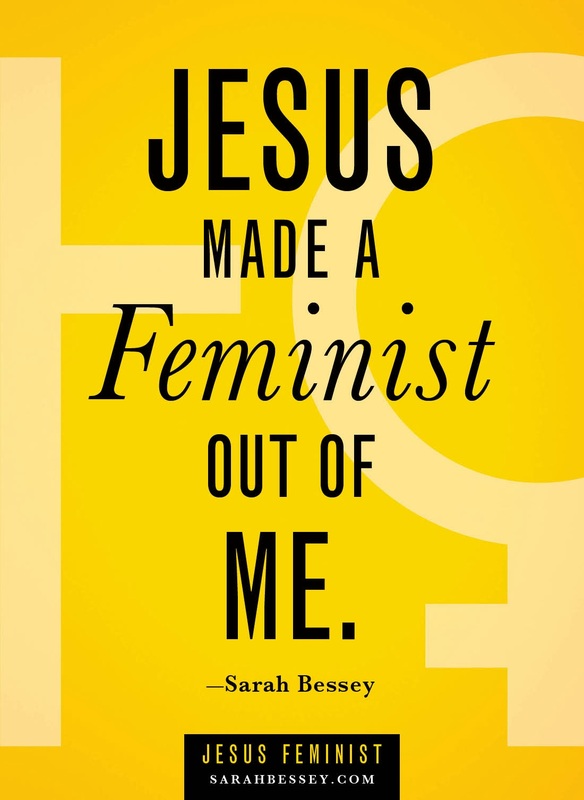 I am a Jesus Feminist! Most of my family may be steeped in a denomination that does not allow women to be preachers, but if God calls me to it, I will preach. Because as Christina said, "I am a lady preacher because I know these stories of God like they are my own. They are like a fire shut up deep in my bones, and I am weary of holding them in." And I say with Tamara Rice: "If Deborah, why not me? If Priscilla, why not me? If Elisabeth Elliot, why not me? If there is neither male nor female, why not me? If Jesus said “go ye” and not “go he,” why not me? Jesus said to all of us to Go! Go into all the world, making disciples of all nations! And Jesus is the one who has the authority to commission us! Jesus is calling us to go, to enter his story of redemption and rescue and be his ambassadors to bring the Kingdom of God crashing down into all our lives, over all of the earth! Check out more posts linked up in Sarah Bessey's synchroblog.